Now known blogger benign0 in his article for website GRPundit, said that Vice President Leni Robredo does not possess the qualities that make one worthy of the Philippine Presidency. He said that the mere image of Robredo as a President, brings back to his mind President Rodrigo Duterte's statement that the VP is not ready to govern a country because of her incompetence. "During the campaign leading to the 2016 elections, Robredo's supporters chanted "Leni is my VP". Evidently they didn't make that vital logical link to the fact that the vice president is just a heartbeat away from the presidency. The VP is not just a VP. He or she is a potential president," he said. He also said that the VP lacks the grit to handle a country like the PH. "Under a Robredo presidency, the halls of Malacanang would echo with the words "Ang sa akin lang naman". 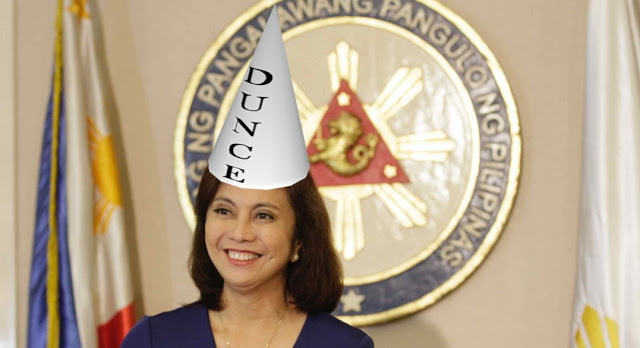 This is a phrase Robredo prefixes just about every statement she makes with. It loosely translates to "in my humble opinion". A president who practically apologises in advance for every statement she is about to make cannot in any way be considered fit to lead one of the largest nations in southeast Asia." The VP now faces yet another controversy when while in the middle of an election recount contest with former senator Bongbong Marcos, her advisor was seen in an outing with members of the Presidential Electoral Tribunal's staff. "It is true indeed what Duterte said. Robredo is not fit to be President. And, by transitivity, neither is she fit to be Vice President."